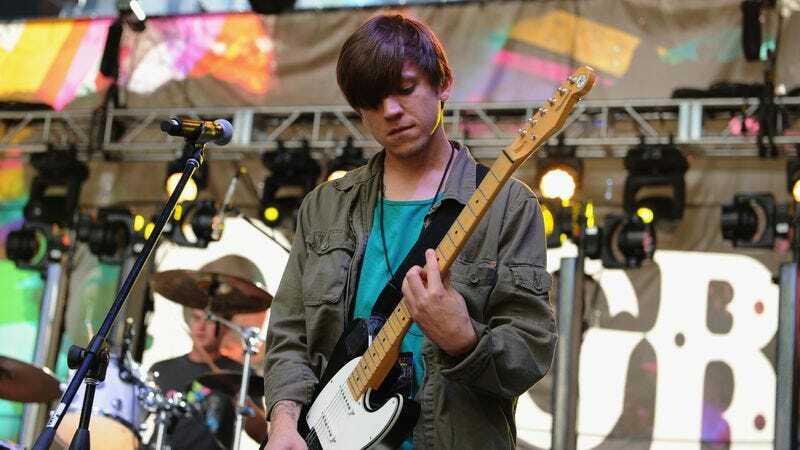 Thomas Fekete, longtime guitarist for the alt-rock band Surfer Blood, died yesterday evening after a year-long battle with a rare, aggressive form of cancer. He was 27. Our sweet Thomas passed on last night, peacefully in his sleep, holding my hand. With one last sigh, he let go of the burden of pain and suffering that he has been bravely carrying for so long. I am full of comfort knowing that he is now free, and long for the day I get to be with him again. Surfer Blood responded to the news on the band’s Twitter account. Sometime between March and June of 2015 while healing from two surgeries and starting chemotherapy, I hunched over my four track and created this disaster. No multiple takes, no expensive mics, no outside direction…just me in my bedroom with a very cheap, bare bones setup. Some of these songs reflect on good times, days I’m able to walk on my own, talk, and function like a somewhat normal human being. Others remind me of barfing between vocal takes, wheel chairs, dilaudid withdrawals, and tears, from my family, my spouse, my dear friends. However, like everything in my life, I did manage to find some humor in my situation, and I hope that helps level out all the heavy stuff. Jessica Fekete invites fans and friends to join her in a “celebration” of her husband’s life on a beach in South Florida the first weekend of July, just after he would have turned 28. Details of the event are forthcoming.